Varsity boys water polo poses for a photo at the 2018 Scott Roche Invitational. 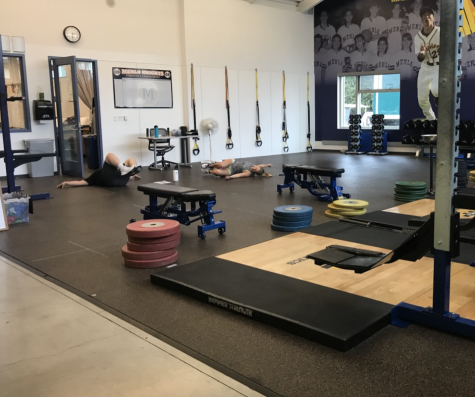 Photo courtesy of Sam Untrecht. 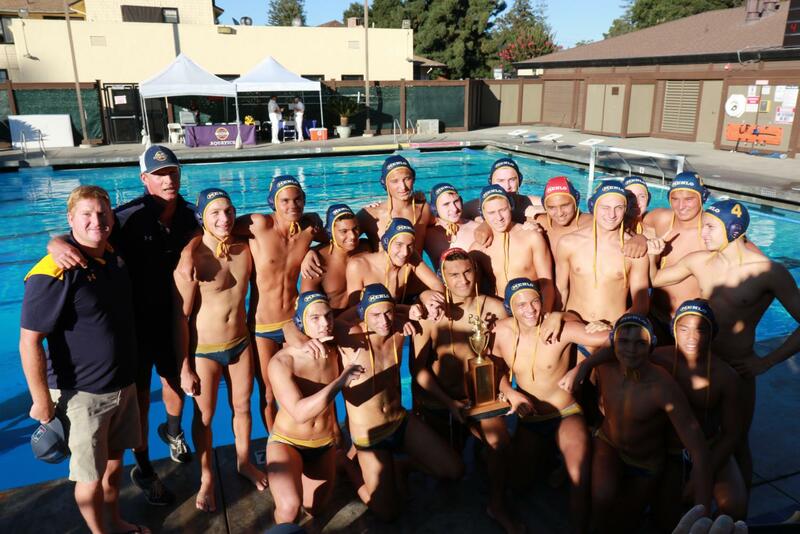 This past weekend, the varsity boys water polo team won the annual Scott Roche Invitational at home, becoming the first three-time consecutive champions. In their first game of the invitational, the Menlo boys faced Serra on Friday, Sept. 7, and came out with an 18-4 win. 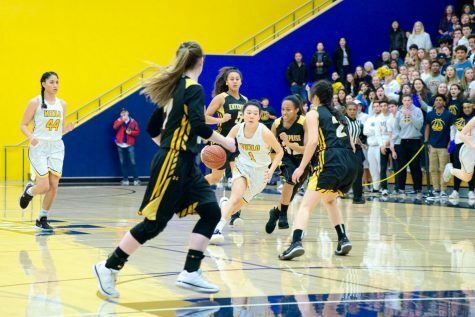 Later that day, the Knights proceeded to defeat Acalanes 15-5. 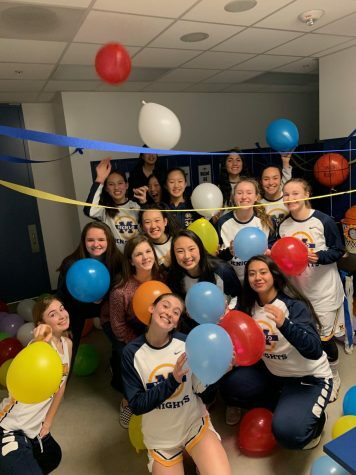 On Saturday, they had a much closer game against St. Mary’s, but ultimately prevailed with a 12-9 victory, sending them to the championship against Buchanan. 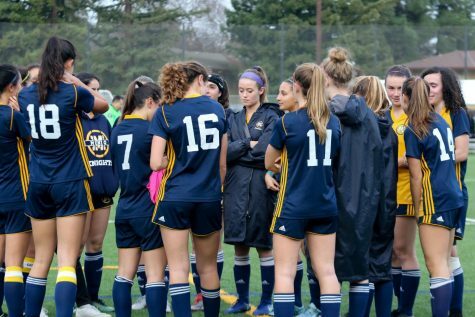 Last year, the Knights fell to Buchanan in the 2017 Northern California Division I tournament, subsequently ending their season. 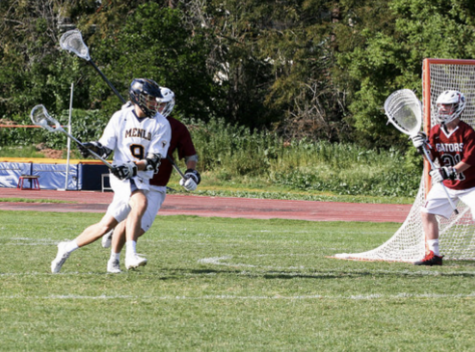 The Menlo boys went into this year’s Roche championship game with hopes of avenging last year’s loss, and succeeded, defeating Buchanan with an 11-9 final score. 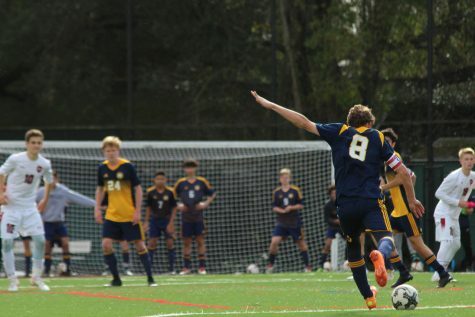 Senior Sam Untrect lead the Knights in scoring, with 16 goals throughout the four games. He and Junior Connor Enright tallied the most assists, each with seven. Untrect started playing water polo seven years ago, and has been a four-year starter on the Menlo varsity team. On the defensive end, both goalkeepers displayed impressive performances. Junior Josh Pulos had 32 saves, only condeding 19 goals, and sophomore Zayd Mahmoud tallied 11 saves, conceding just five goals. 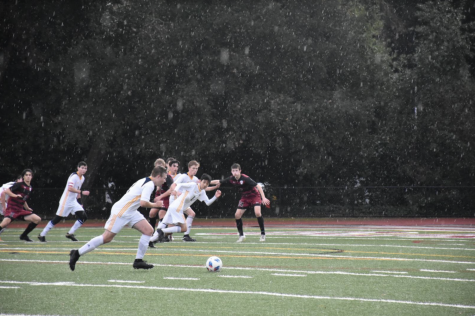 The boys’ team began their season a week prior to the tournament with a 10-8 loss against Sir Francis Drake High School. 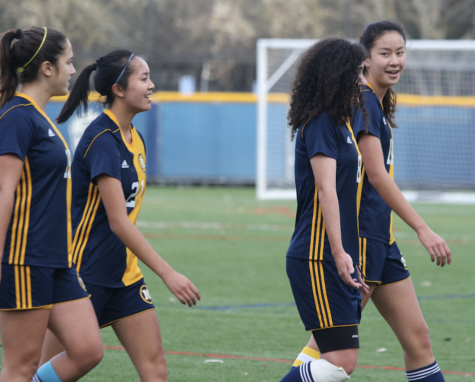 “[Starting the season off like that] can sometimes set the tone, but we had a really good, intense week of training, and they bounced back,” said head coach Jack Bowen. 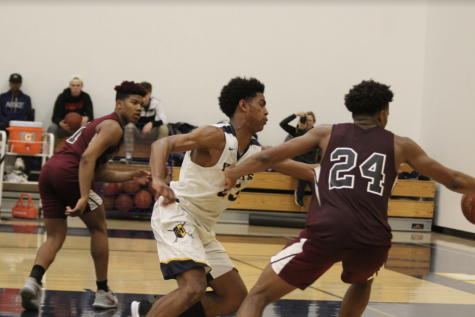 “The energy level and effort [at the tournament] was at 100%, and our team defense and counter attacks were off the charts,” Bowen added. 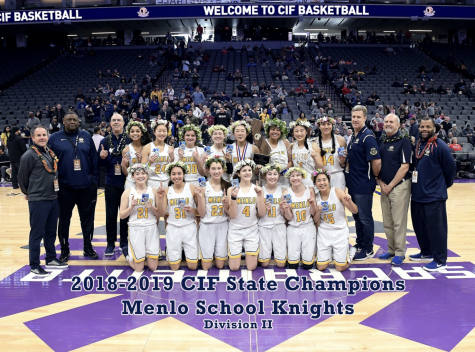 Bowen has coached at Menlo for the past 19 years, and his main goal for the team remains the same: “be your best.” The knights exercised this goal at the Roche Invitational, earning them their three-peat.